June 24, 2017 March 7, 2015 by Ada W.
The first time we hiked Mt. Oyama was through the Yabitsu-Toge Pass. We had thought that it was the most painful hike of our life (very difficult and it was all stairway paths), but it turned out that the other course (Otoko-zaka trail) we planned to hike the second time was more challenging. More stairs and will set your legs on fire. Mt. Oyama is a serious hike. You’ve been warned. Located west of Kanagawa, Mt. 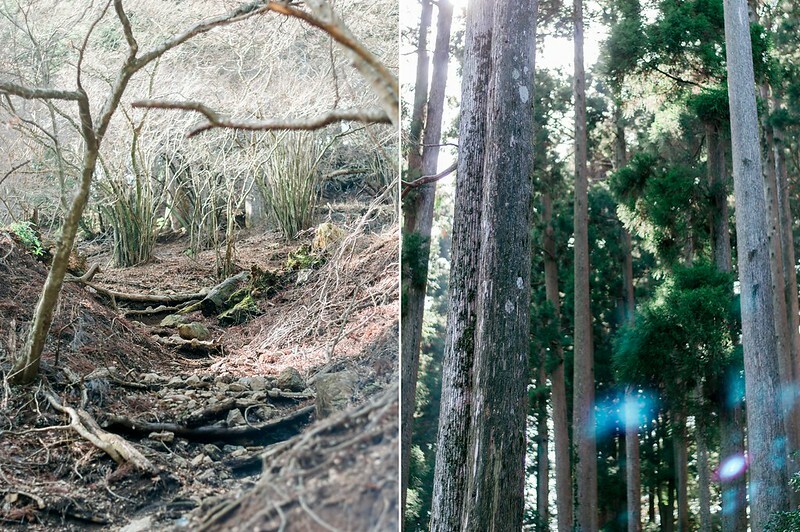 Ōyama (O-yama not Oya-ma), or Kunimi-yama as locals dubbed it, is a popular hiking destination. Part of Kanagawa’s Tanzawa-Oyama Quasi-National Park, it is a great day trip from Tokyo which offers many hiking courses and beautiful panoramic views of the entire Kanagawa Prefecture and on a lucky clear day, Mt. Fuji and the Tokyo Skytree Tower. Mt. 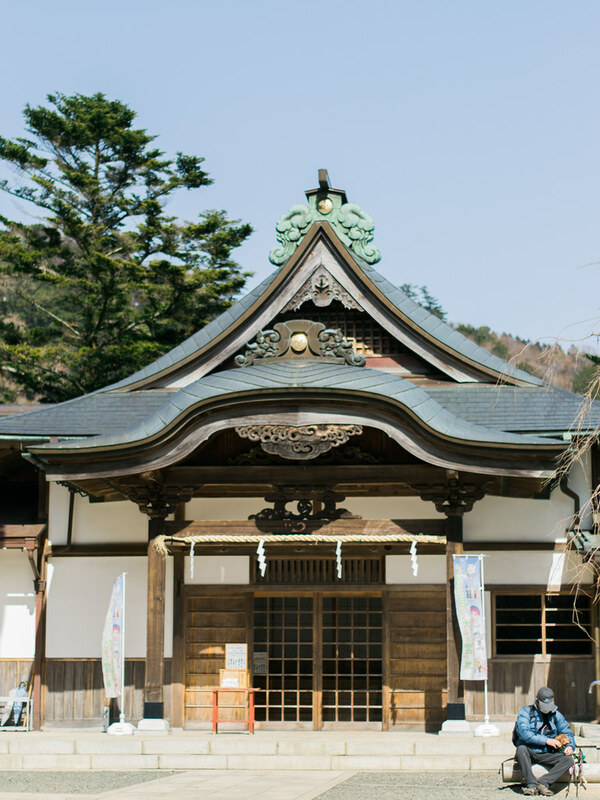 Ōyama has been called as “Guardian of the Land” and is considered sacred and place of worship since the 1700s. 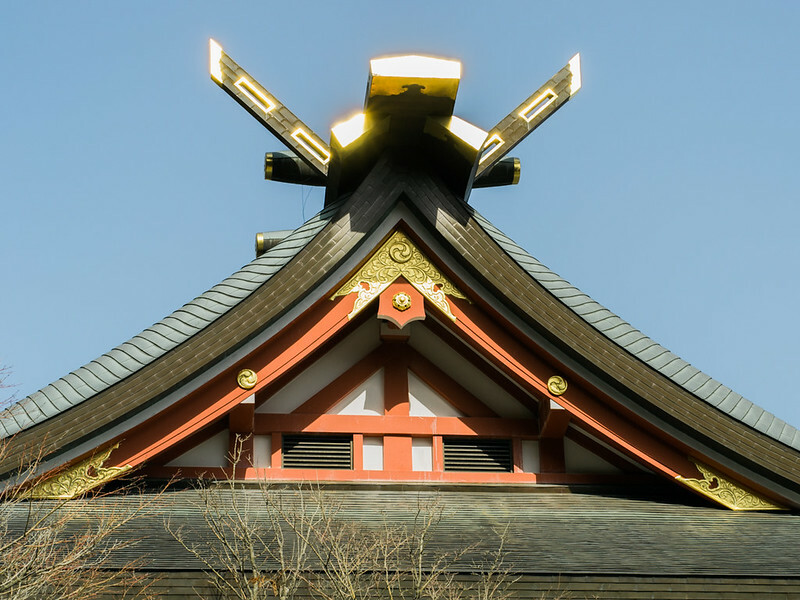 Popular historical sites to visit are Oyama Afuri Shrine (the bottom and the main shrine) and Oyama-dera Temple. Popular starting point when hiking Mt. Oyama is from Oyama Cable Car Station (last bus stop from Isehara Station). From Isehara Station, follow the directions towards this sign: 大山 (Oyama in Kanji). When you get downstairs, go on your left, take the bus at bus stand no.4 and get off at the very last stop (about 25 to 30 minutes ride), bus fare of 310 yen. From the bus stop end, look for the sign that says Oyama Cable Car or follow the crowd going up. You can grab a map from Oyama Tourist Information Center before you start. For hikers arriving by car, parking lot (Oyama Cable Car parking lot Google Maps) is available near the bus stop. For tourists coming from Tokyo, a roundtrip discount ticket called Tanzawa-Oyama Freepass (website) can also be purchased from Odakyu Sightseeing Centers in Shinjuku Station which covers round trip costs of train, bus and cable car rides. It’s a pretty good deal and can save you some cash. Going to the Oyama Cable Car Station is a bit of a warm up before the hike. You need to climb stairs with 362 steps, but don’t feel devastated. Along the way came souvenir shops and tofu restaurants (what Mt. Oyama is famous for) to stop by and rest. You are also surrounded by a beautiful forest on the hilltop that will make you forget the exhaustion as you finish the climb. 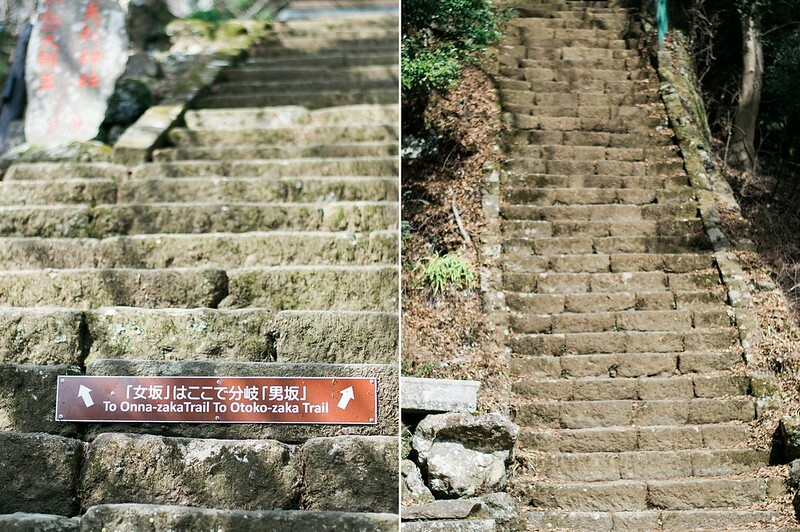 Signages call this 10 to 15-minute stair climb the Koma-sando Approach. 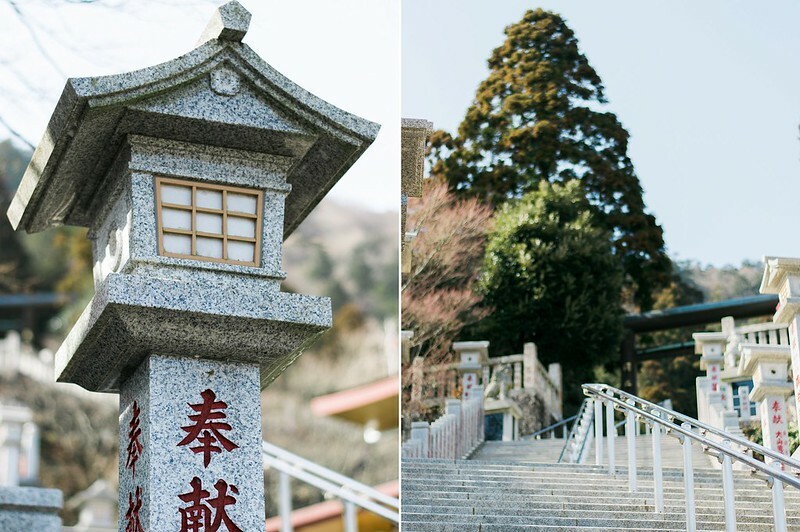 Once you are at the bottom station of the Oyama Cable Car, you get to decide whether to ride the Cable Car or hike all the way up to the temples and shrines. 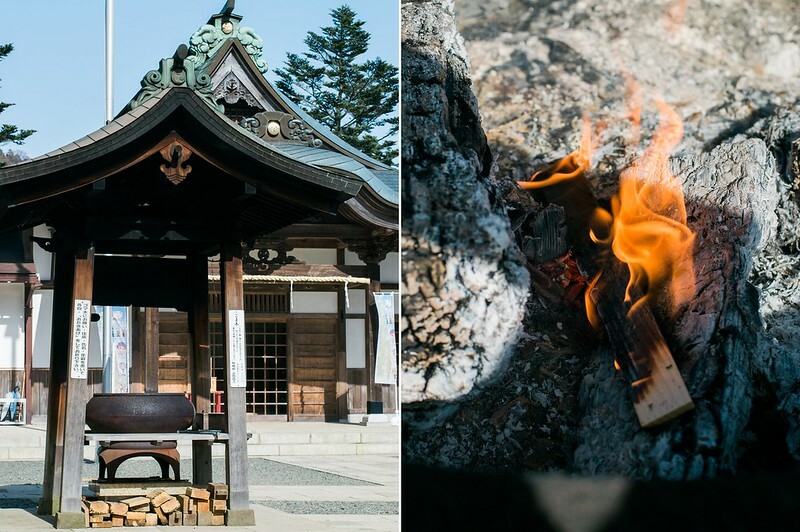 If you arrived here before noon, you can hike to the mentioned temple and shrine, and even to the summit. Hiking from the bottom cable car station to the summit pass by 1 p.m. should only be attempted by experienced hikers. 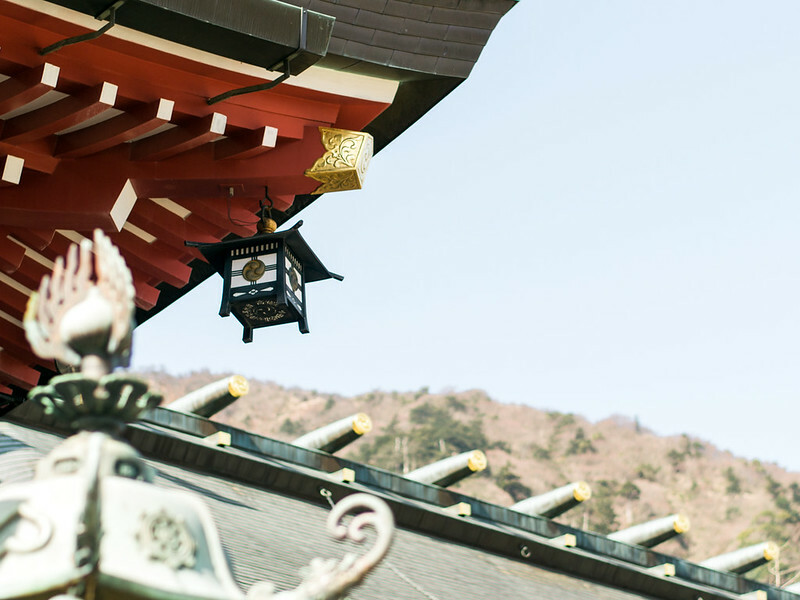 If you are time-constraint, there are cable cars which run up the mountain taking you to Oyama-dera Temple and Oyama Afuri Shrine. Cable car departs every 20 minutes (first car at 9:00 a.m. and the last car Mon-Fri at 4:30 p.m., weekends and holidays at 5:00 p.m.). For visitors who will hike, walk the trails up leading you to the divergence of Onna-zaka trail or “women’s trail” and Otoko-zaka trail or “men’s trail” (steeper and more rocky trail). Hiking on the women’s trail to Oyama-dera Temple will take about 20 minutes and another 20 minutes to the bottom of the Afuri Shrine. The Men’s trail though will pass the Oyama-dera and continues up to the bottom of Afuri Shine which takes about 30 minutes. We chose Men’s trail when we hiked Mt. Oyama the second time and our legs were immediately on fire after the first stair path. 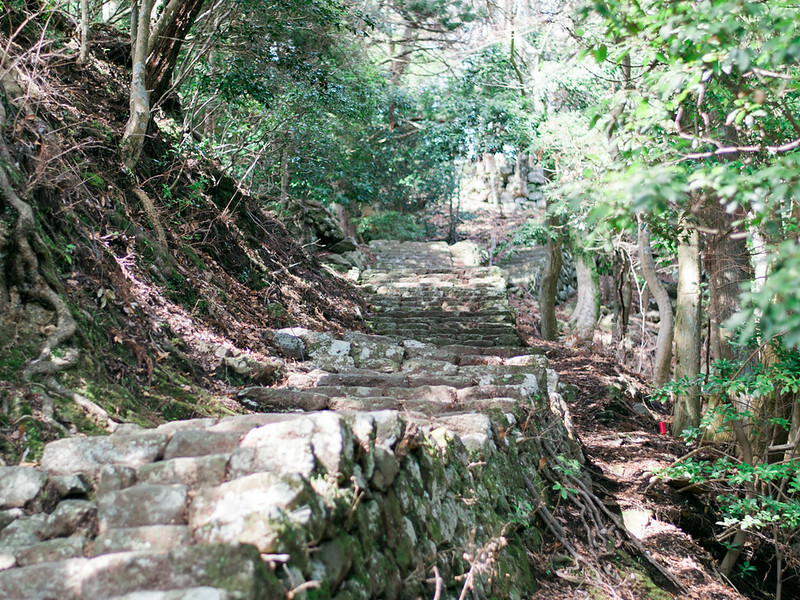 For first timers, it is recommended that you take the women’s trail as it passes the “Seven Wonders of Onna-zaka” (features interesting stones and jizo statues) and the Oyama-dera Temple. 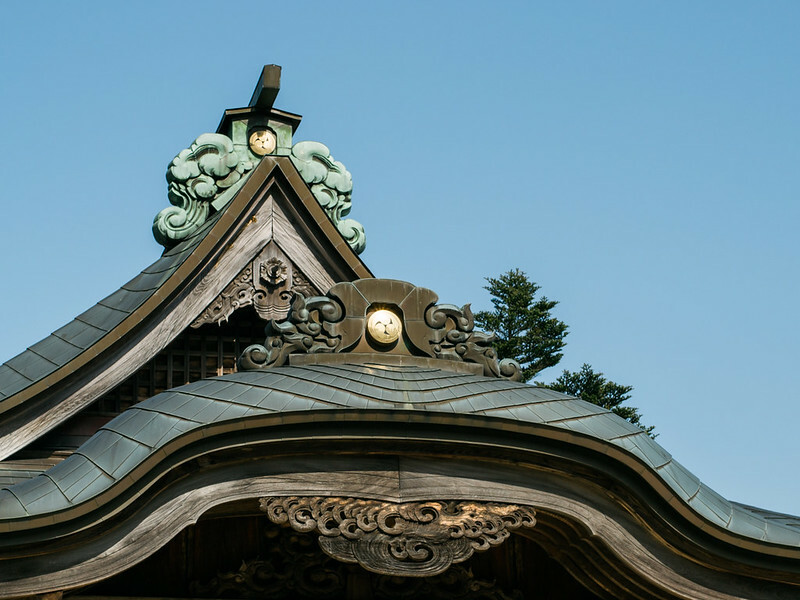 Oyama-dera Temple was founded in A.D. 755 by a high-ranking Priest Roben, whom according to the legend, a golden-colored eagle snatched him away from his home when he was 2 years old and put him down on a cedar-tree branch near Todaiji Temple in Nara. A priest then passed by this tree and the eagle told him to take good care of the boy. 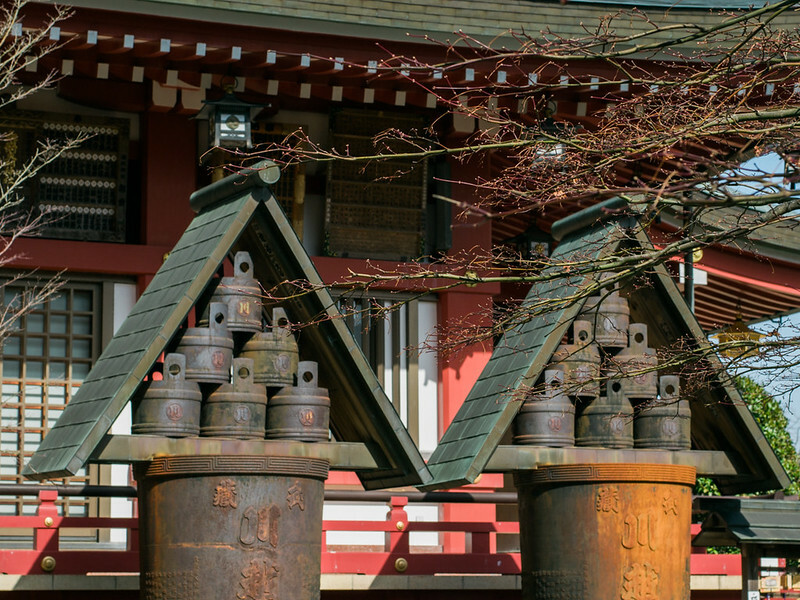 Explore the area of Oyama-dera temple and get a closer look at its mysterious statues along the way. 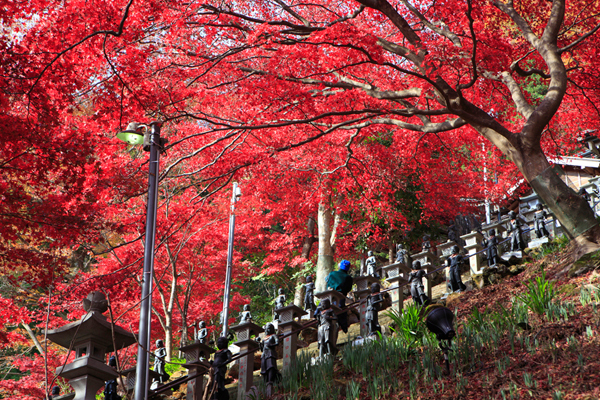 The temple is exceptionally beautiful in autumn with red maples leaves adding a magical experience during your hike. It can get very crowded during this season too. 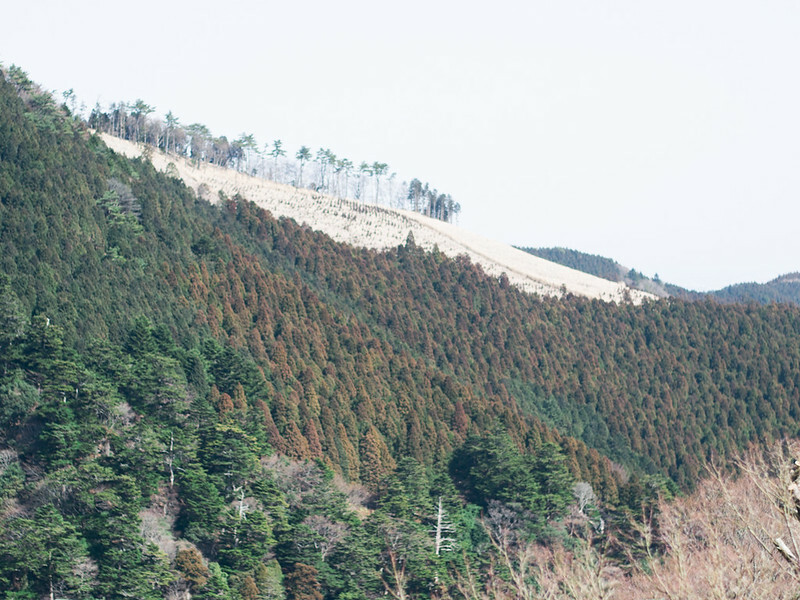 Both trails will end at the Afuri Jinja Shimosha (678m) which offers spectacular views of the entire region. 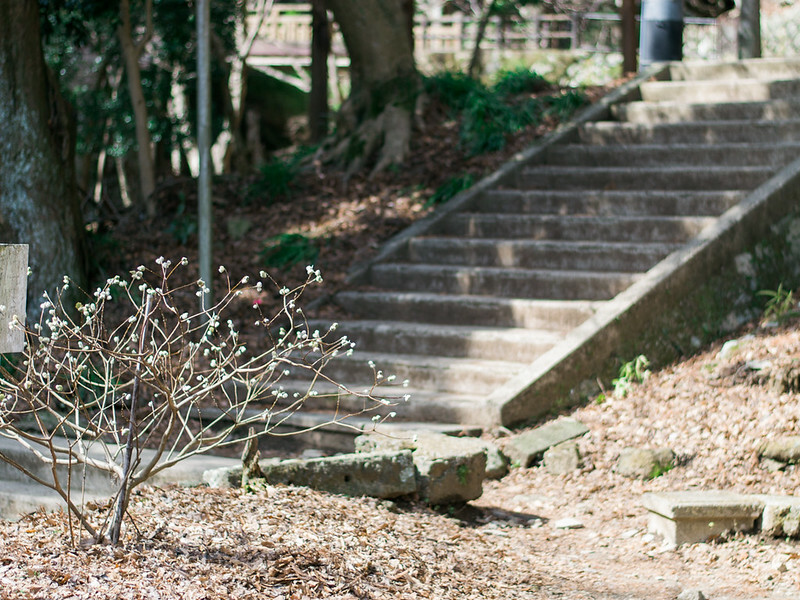 Here, you will be surprised with marble and stone paths ascending through the hilltop of Afuri Shrine. There are two restaurants situated here (Sakuraya and Echigoya Restaurants) which serve grilled mochi, curry, ramen, udon, soba, ice cream and other refreshments. You can spot deer around here due to its proximity to a deer park. Why not have lunch and refresh yourself here? I loved their grilled mochi and complimentary ocha (green tea). It would be best to take your time in this place and rest if you decide to hike up to the summit. My husband and I ordered ramen and curry for lunch, not the best but better than having an empty tummy before the big hike up to the summit. 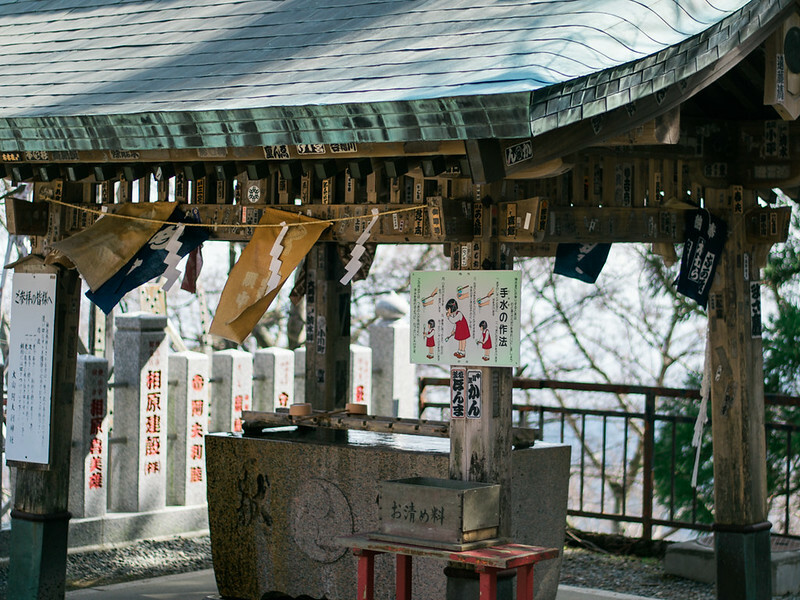 After a brief rest in Afuri Jinja Shimosa, climb up stairs and you will see a Chouzuya (purification pavillion) to purify yourself before entering the shrine. First, take the ladle and clean your right hand with a little water, then change hand and clean your left. Cup your right hand and pour a little water on it to rinse your mouth, but do not drink from it. I actually drank from it the first time. I didn’t feel anything after though, my tummy didn’t protest. 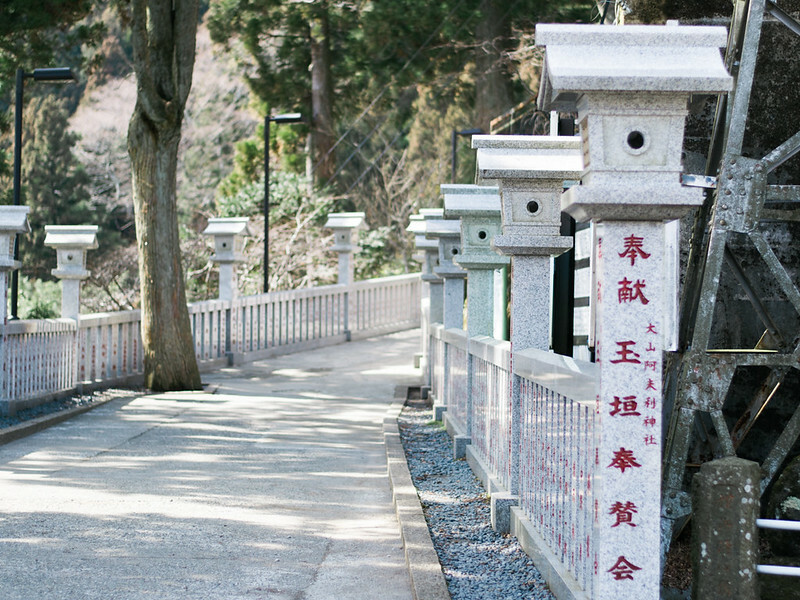 Facing the Oyama Afuri Shrine, go to your left and you will see the directions and trail to the summit where the main Afuri Shrine (1,251.7m) is situated (closed months of February, March, and April). The trail to the summit is called Shimosha Trail and there is where the path becomes rocky and uneven shifting into slightly difficult level. In winter, the path to the summit and the summit itself can get very muddy so make sure to wear a very good hiking boots. 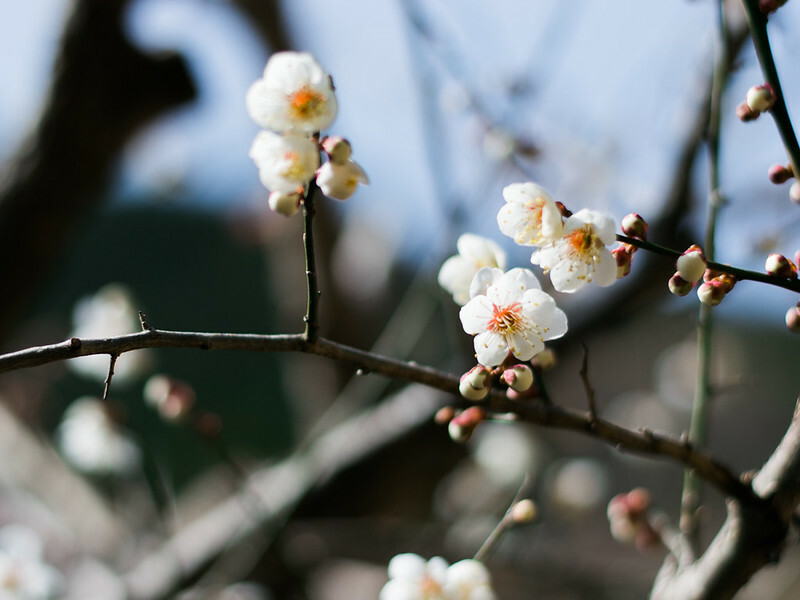 The summit is more spectacular in May when mamesakura (double-flowered cherry blossoms) are in bloom. There are also restaurants on the summit but are closed in winter. You can choose the same hiking course or ride the cable car when descending. 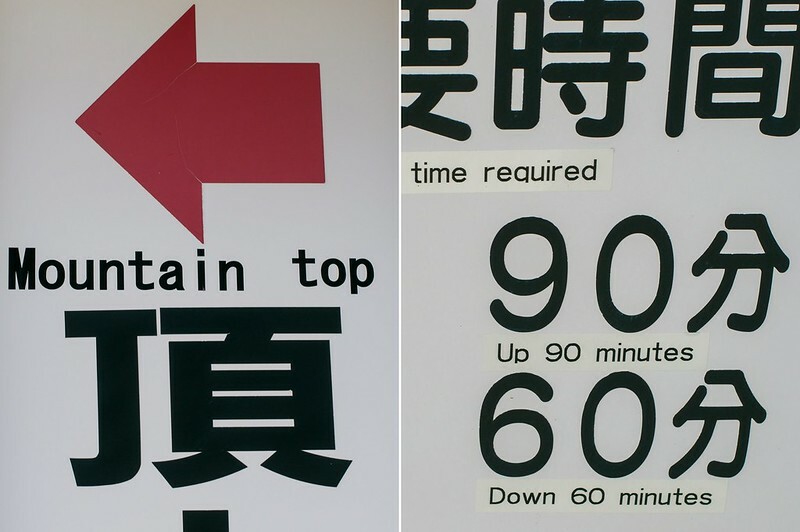 Most of the time, beginner hikers will ride the cable car when descending Mt. Oyama due to the exhaustion brought by the stairway paths. Again, Mt. 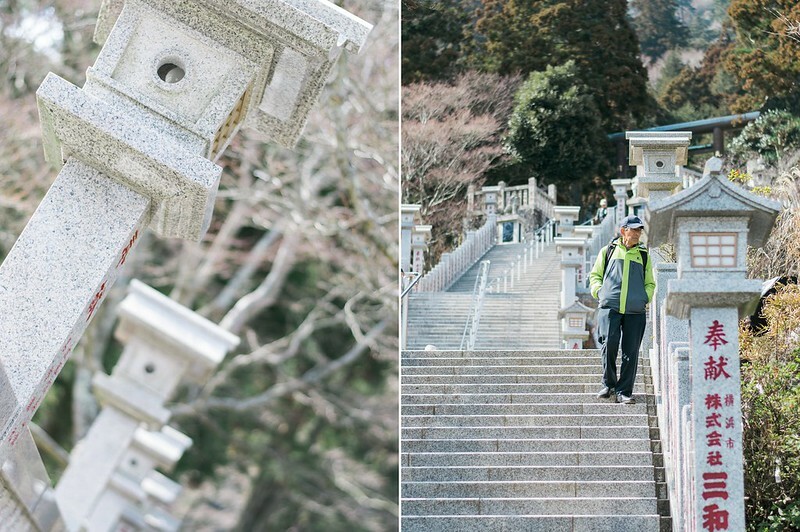 Oyama is all about stairs and a serious hike. These were taken from the English Hiking Guide of Mt. Oyama. Restrooms There are no restroom between the bottom shrine and the main shrine. 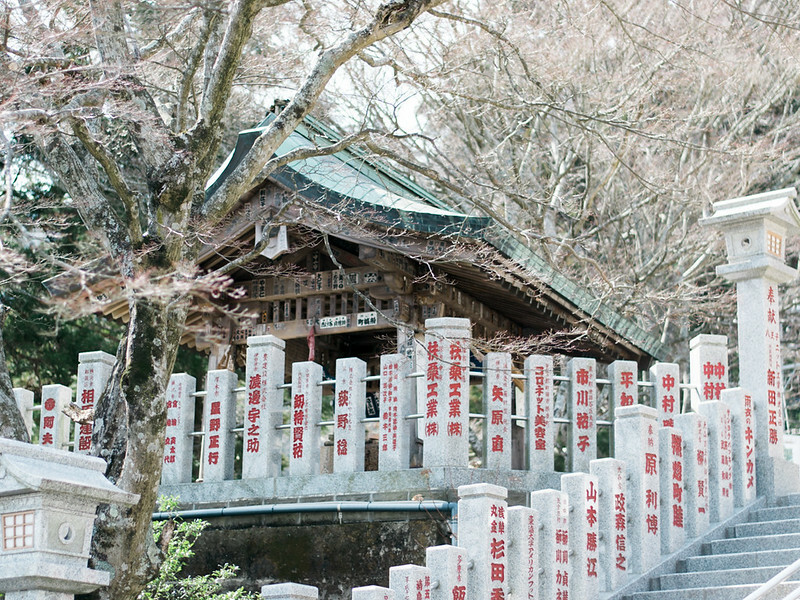 You should go below the bottom shrine for the restroom or at the bottom of the cable car station. The Summit On a lucky clear day, the view is wonderful overlooking Yokohama Landmark Tower, Mt. Fuji, and Tokyo Skytree. Summer climbing Wear clothes with layers as the temperature is 5°C lower than level ground. Leeches are also brutal in the summer so, watch out. Winter climbing Wear windbreaker outerwear and extra clothes. Temperature is 7°C lower than the level ground. In the presence of snow, you need crampons. Wild animals Daring hikers who climb at night can spot wild animals like wild boars, bears, monkeys, deer, and so on. Do not feed or get close to them. Kids Hiking is a lifestyle for Japanese and usually bring their kids when they hike. The youngest I've seen so far hiking Mt. Oyama with parents was about 3 or 4 years old. 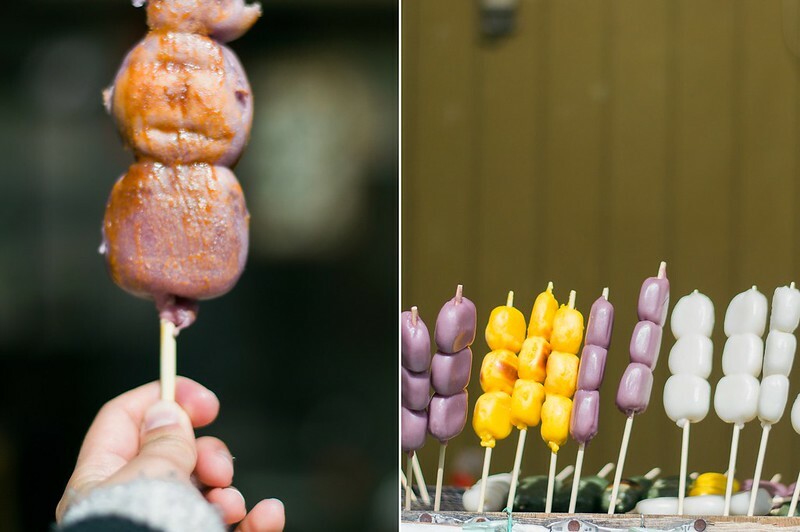 There's nothing wrong with being bold and adventurous parents. I will update this guide whenever I’ve personally tried the other hiking courses. My husband and I so far have done, the Men’s trail and the Yabitsu-Toge Trail from Hadano Station (difficult). I tried my best translating Kanji symbols from the pamphlet guide into Romaji; however, if you think that some information are inaccurate, please comment below and I would be happy to edit it.